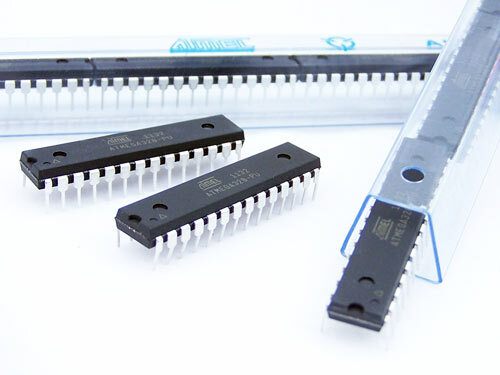 We’ve been getting a lot of requests to stock Atmel ATmega328 microcontrollers and they have finally arrived. The ATmega328-PU is the through-hole variety and fits onto our 28 pin AVR Development Board. The ATmega328 is almost identical to the ATmega168a but has double the Flash, double the EEPROM and double the SRAM. It can be purchase individually for $5.80 or as part of a development kit for $20.80.